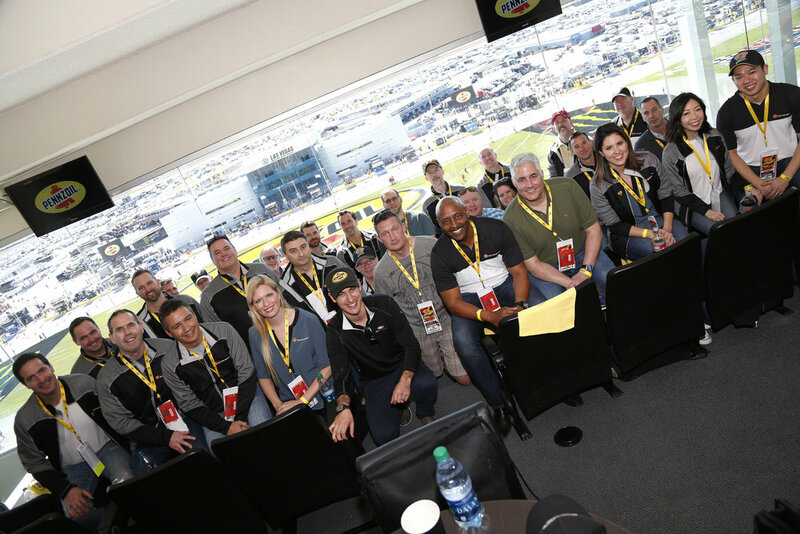 Pennzoil welcomed employees, partners and customers from around the Americas to experience the first ever Pennzoil 400 at Las Vegas Motor Speedway. 425 guests arrived to take part in the ultimate experience for the weekend. They represented 45 different customers and business units across a variety of industries. It all started by checking into the beautiful Aria Resort & Casino for a luxurious group dinner Saturday night and continued with remarkable behind-the-scenes access to NASCAR. 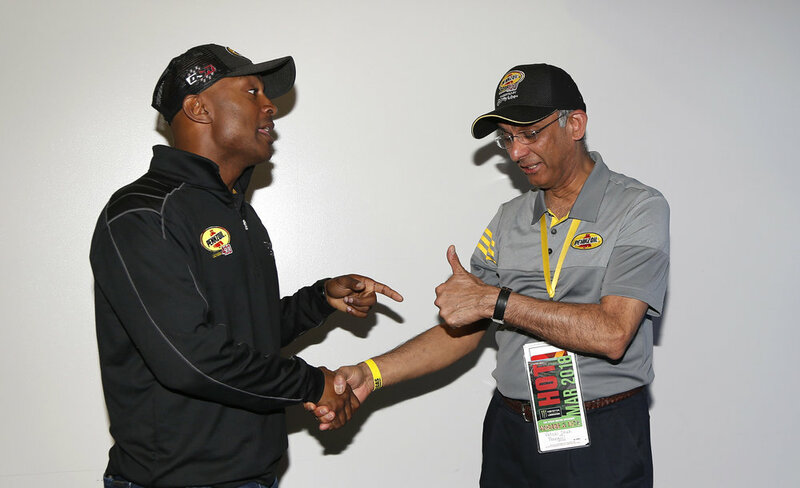 Pennzoil also brought together an impressive group of celebrities and influencers to bring the brand to life on and off the track with #PennzoilNation. 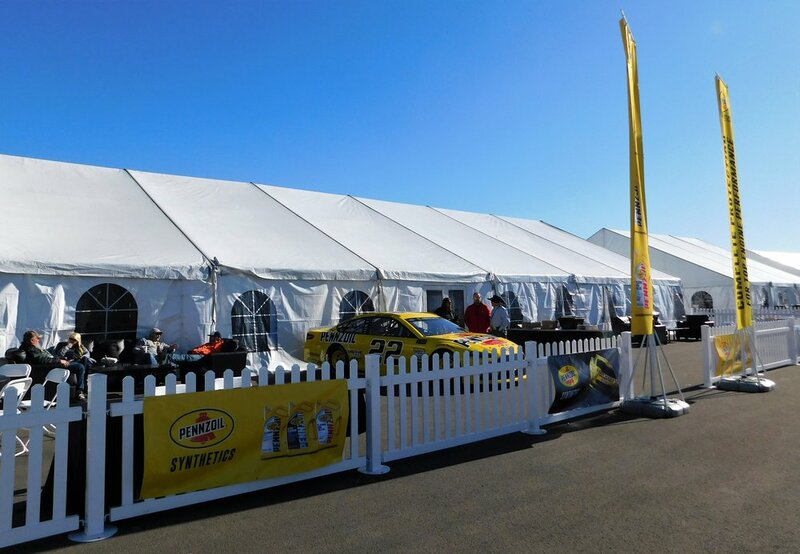 The media was buzzing all weekend to see live drifting demonstrations, Q&A's with NHRA drivers, multiple showcars, and capture fans getting autographs from #22 Pennzoil Ford Fusion driver, Joey Logano. While everywhere around the track was unmistakably Pennzoil, so was the competition on the track. Custom, striking paint-outs were developed over the last year to be featured on the #22 Ford Fusion of Joey Logano and the #12 of Ryan Blaney. 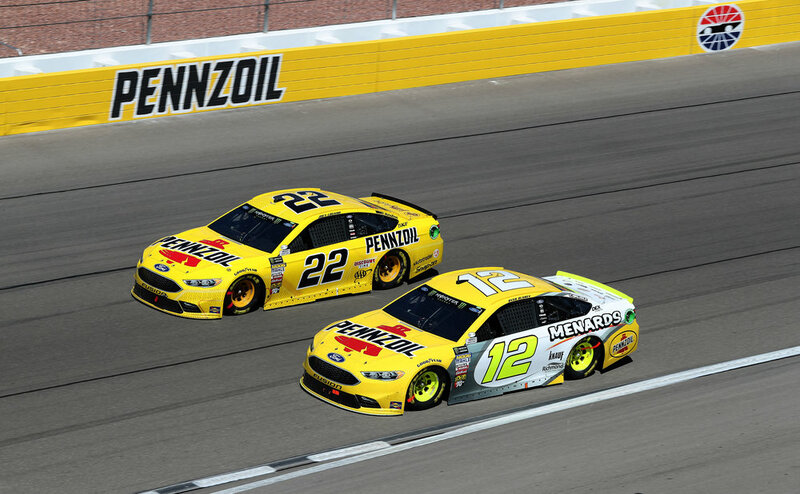 Pennzoil had the primary paint-out for the #22 and a co-primary position on the #12. The driver's fire suits matched, and they could be seen in Pennzoil yellow on broadcast TV interviews, at the driver's meeting, during driver introductions and during post-race coverage. While all of the festivities were being setup on The Strip and at Las Vegas Motor Speedway, our Experiential Marketing Team visited six key Walmart locations around the Las Vegas Metro Area. Customers and store managers love seeing the #22 Ford Fusion at their stores. Walmart continues to be a key partner and massive customer of Pennzoil and other Shell products. Leveraging the Team Penske and Shell-Pennzoil partnership, our team is on a nationwide campaign to engage various markets supporting the NASCAR calendar. There are still numerous articles and recaps coming in from around the event, so please keep this link handy to see the updated content. The Aria Resort & Casino hosted the entire group for the weekend, and its amenities didn't disappoint. The premium experience at the hotel came to a peak when all 425 guests joined together in the Orovada Ballroom for a fantastic surf & turf dinner. The evening featured welcoming remarks from Shell-Pennzoil leadership including Carlos Maurer, Patty Lanning, Bobbie Cumpston, and Jim McCormick. 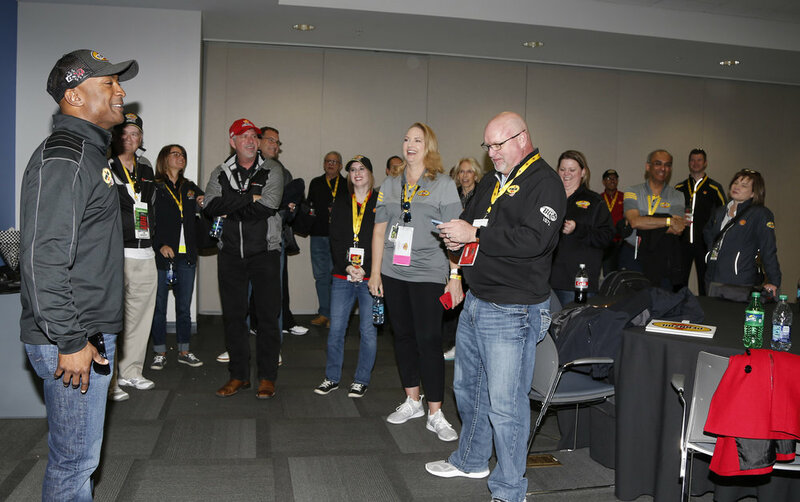 They walked guests through the unique benefits of being partners with Team Penske, who were excited to learn more about what it takes to compete at the highest level. 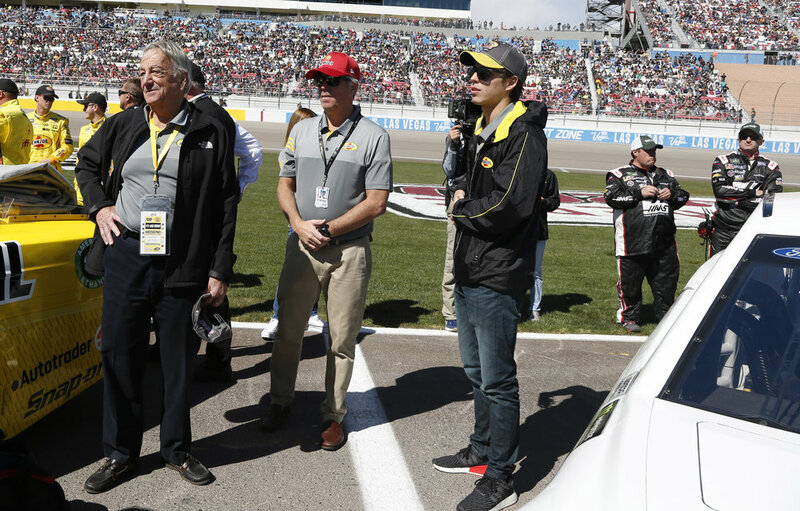 NASCAR legend and broadcast superstar Larry McReynolds then went a little deeper about what goes on underneath the hood with #22 Pennzoil Ford Fusion driver Joey Logano and his crew chief Todd Gordon. Guests loved to hear about the strategy Team Penske was taking the weekend on with in addition to the technical elements of how the right lubricants make a big difference to performance on race day. 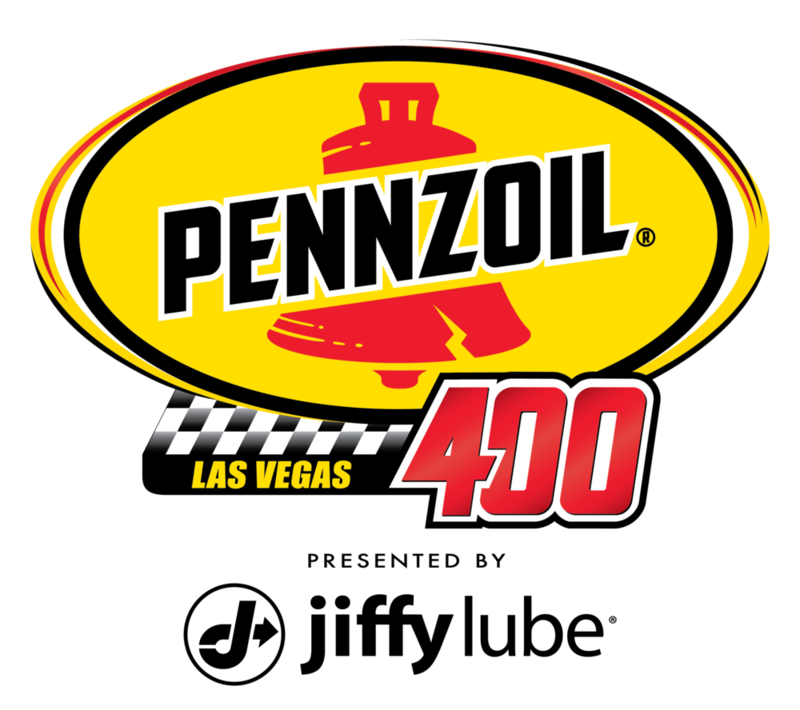 45 different customer groups were engaged through the Pennzoil 400. A selection of this group of customers and partners are featured below. The group started early with an exciting day of activities ahead of them. 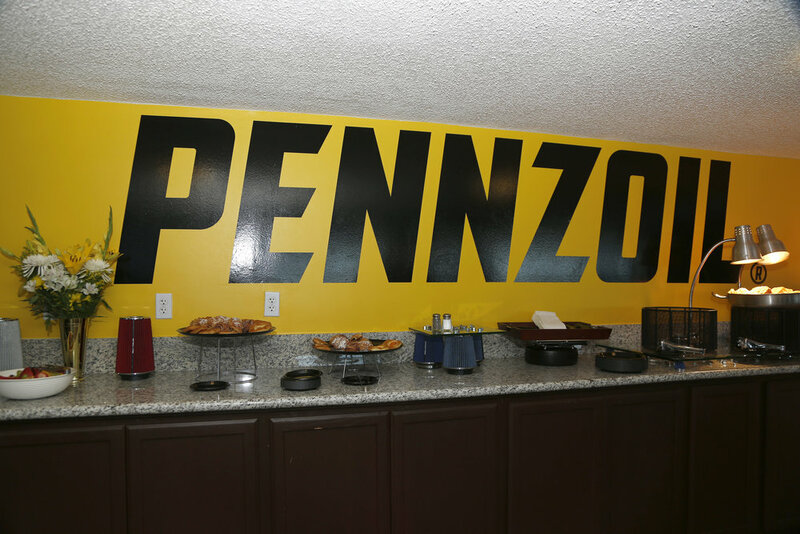 The title sponsorship of the race offered up a host of unique hospitality and engagement opportunities for Pennzoil, and every one of them was taken to full advantage. We all traveled to Las Vegas Motor Speedway together in a professional 5-bus caravan with access right on the infield of the track behind the famous Neon Garage. 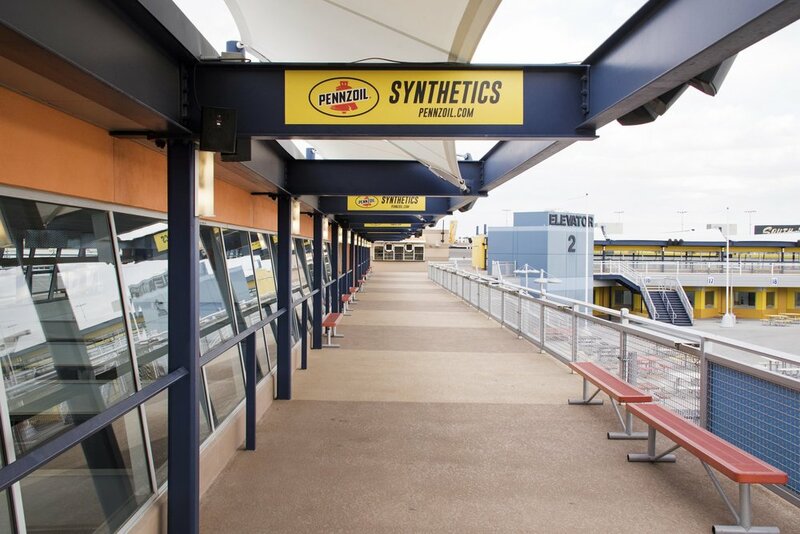 425 guests were than escorted to their unique place to experience the race including in the Luxury Suites, Turn 1 High Roller and at Turn 4 Hospitality. Besides the spread of different hospitality experiences, this event offered Pennzoil another level of VIP access. The most important elements of the race were held by Pennzoil employees, partners or customers - bringing them closer than ever to the action. 145 top-performing customers enjoyed perfect start/finish line views and the ultimate VIP experience in the speedway suites. Joey Logano stopped by before the race to answer a few more detailed questions from guests. There was also a special appearance from Dylan McDermott, Grand Marshall of the Pennzoil 400 and lead actor from Fox's hit new show LA to Vegas. Not every race experience comes with a setup like the High Roller space at Las Vegas Motor Speedway. A custom-built, two-story basecamp nestled right up against Turn 1 where 30 guests had the ultimate closeness to the race. Guests had a special visit from Ryan Blaney, driver of the #12 Pennzoil Menards Ford Fusion. The up-and-coming superstar stopped by in the morning for a chat, photos, and autographs. Featuring panoramic views of the entire Speedway and The Strip in the distance, 250 guests came together to enjoy the Turn 4 Hospitality area. Ryan Blaney stopped by, this time joined by NASCAR legend and Fox broadcaster, Larry McReynolds. Guests also got to spend time up close and personal with the #22 Pennzoil Ford Fusion race car, parked right out front. Matthew Johnson of Jiffy Lube starts the Pennzoil 400! 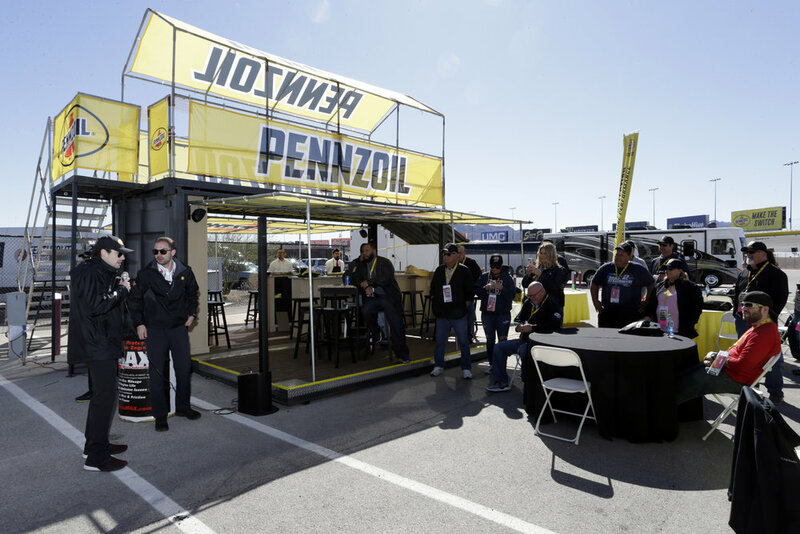 Exceptional activation programs for Pennzoil opened the door to mainstream media coverage that extended far beyond the motorsports world. 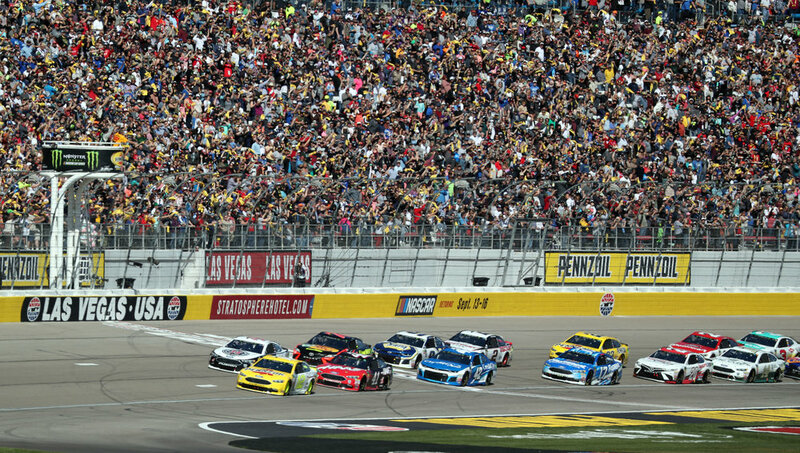 SportsBusiness Daily reported that the Pennzoil 400 was the most-watched sporting event of the weekend, and earned a total of 9,200,000 viewers on FOX, according to NASCAR Analytics and Insights. Click below to read and watch some of the most impactful media coverage surrounding the Pennzoil 400 weekend. If you would like to see more detailed metrics and insights, please visit our full media recap here. 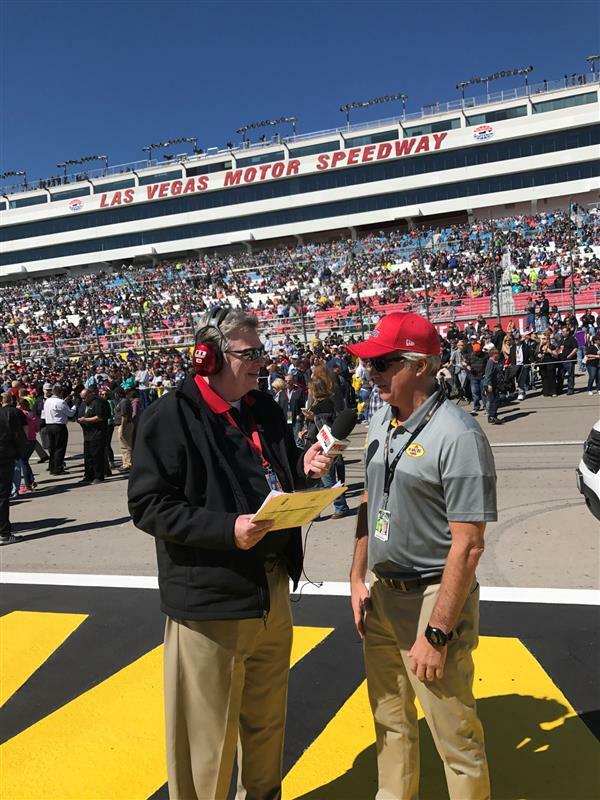 The three-time NHRA Top Fuel Champion from Don Schumacher Racing took center stage with one of the most important roles at the Pennzoil 400 as the pace car driver. 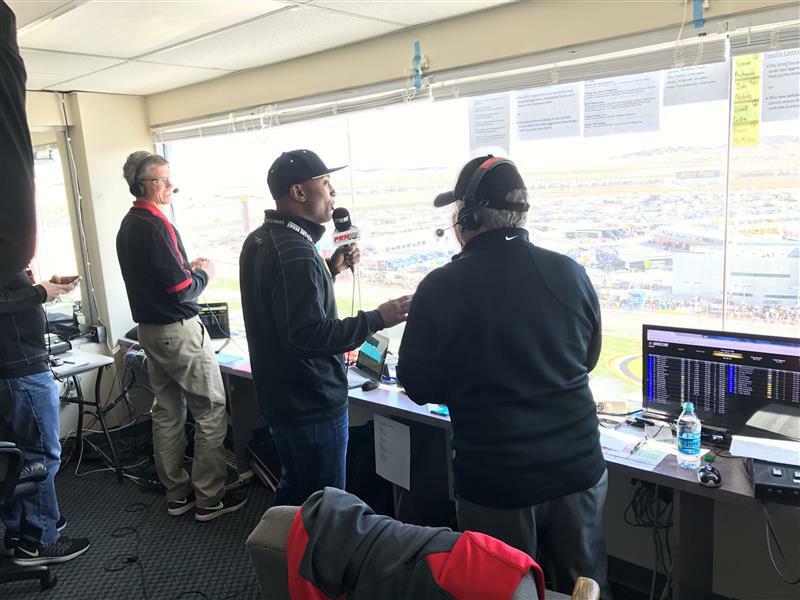 The announcement leading up to the event capture massive media headlines and continued all the way to race weekend where Antron participated in training, the driver's meeting, PRN interview (heard below) live social media coverage and more. He was a fantastic brand ambassador for Pennzoil, NASCAR and NHRA. Antron Brown kicks of the Pennzoil Instagram takeover on pit road. Antron Brown chats with Sirius XM Satellite Radio on the way to the driver's meeting. Check out the clip below. Joey Logano featured on ESPN's Golic and Wingo for a ten minute interview ahead of the Pennzoil 400. Trackside Live with Antron Brown, Leah Pritchett, Matt Hagan and Joey Logano ahead of the Pennzoil 400. View highlights from around the social media word. A special mention to the strategic integration with Don Schumacher Racing drivers Antron Brown, Leah Pritchett and Matt Hagan. Also a special thank you to Joey Logano, Vaughn Gittin Jr. and Skidmarks Podcast Show for their inside coverage of the weekend. Click through some of the most popular posts from the weekend including those from Antron Brown, Leah Pritchett, Matt Hagan, Vaughn Gittin Jr., Joey Logano, Skidmarks Podcast, and more. 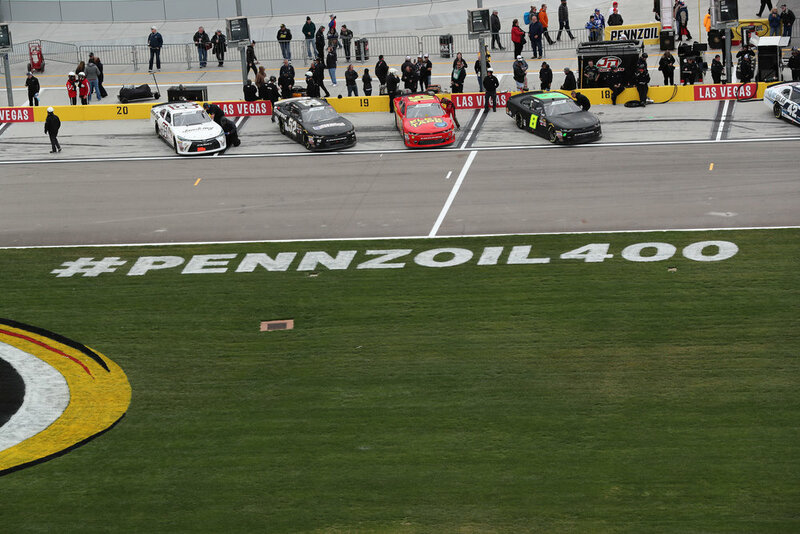 "I cannot thank you and the entire Pennzoil team enough for such an enjoyable and exciting weekend. Your attention to detail and your obvious concern to give your guests the maximum opportunity for a super enjoyable NASCAR experience was nothing short of phenomenal. I do not have a single suggestion as to how you might improve upon your program. From my standpoint, it was perfect!!" "I couldn’t be more proud of how our inaugural running of the Pennzoil 400 went this past weekend. The feedback from leadership, guests, customers, consumers and staff was nothing short of extremely positive. The attention to detail was phenomenal and the ruthless planning to ensure a successful event did not go unnoticed. There was no denying who the sponsor of the race was, as the branding at the Las Vegas Motor Speedway was absolutely outstanding." "I just wanted to personally thank you for one of the most incredible experiences ever. I’ve been to many IndyCar races, but never to NASCAR. You’ve just made me a new fan." ✅I enjoyed learning about all the behind the scenes aspect of a race such as the pits, the rules, the driver, the performance of the car and what it takes to win a race. ✅The whole atmosphere not to mention the VIP treatment. Was a good networking opportunity. ✅Seeing the customers' reaction to the VIP treatment, and of course, being present while they experience the Shell / Pennzoil / Jiffy Lube experience at the race. ✅The overall experience was great, but I enjoyed going to the race with the VIP access the most. ✅Hard to pin point one thing, I guess meeting everyone, great networking opportunity, meeting the Shell team and the other Customers, good people. Also liked the special treatment, very professional, very well organized. ✅Everyone we encountered made us feel welcomed. The entire weekend was honestly one of the best events we have ever attended. How do you think this sponsorship relates to sales? 💼Truthfully, partaking in this event and meeting the more of the Shell team has made me a more committed customer. 💼It showcases the brand’s presence in the industry and provides reinforcement as to how we stack compared to the competition. 💼I don't think there could have been any increased awareness to the product or at the event. It was very effectively marketed and promoted. 💼The fact that the oil we sell on a daily basis was used in the world's fastest cars. 💼Provide $10 Jiffy Lube Gift Cards to the first 10k people that pass through the gates. Or…pair the Gift Card with the purchase of a Pennzoil Premium Oil Change. 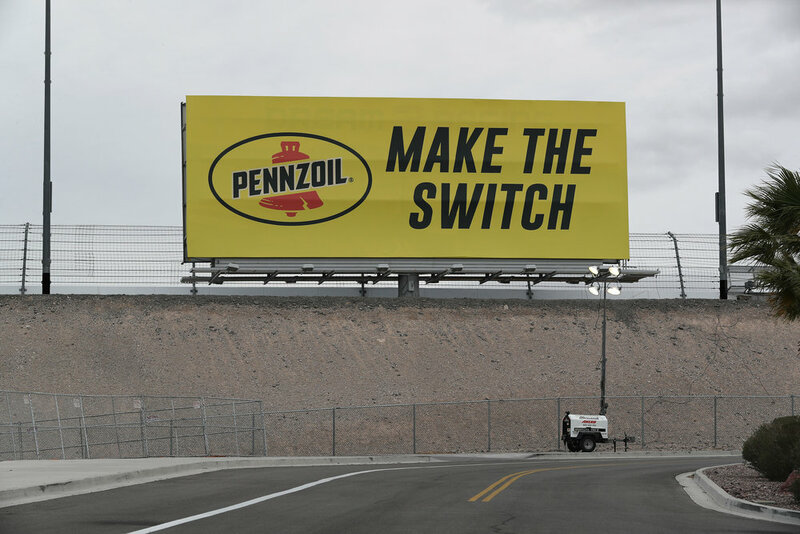 People saw the Pennzoil presence…create an additional call to action. 💼During off season - bring the [show]cars around to the dealerships. 📈Give customers more time to plan for the trip and do not pair on the front of the Jiffy Lube convention. 📈Maybe provide content on the video screens and utilize the jumbotron space at the track. 📈Maybe after an event like this a note/letter out to all attendees from the driver and Team. 📈Give out shirts to Jiffy Lube employees that have the Pennzoil logo on the back. And Jiffy Lube logo on the front upper right corner. I would have my employees wear that while at work. 📈Continue sponsorship and extend [opportunities] to clients. 📈Hospitality tent didn’t have a list of guests that showed up.